Rethymnon is a popular vacation destination. Some choose to come and relax on the nearby Cretan beaches, while others delight at exploring the hidden cafes and windy cobblestone streets. 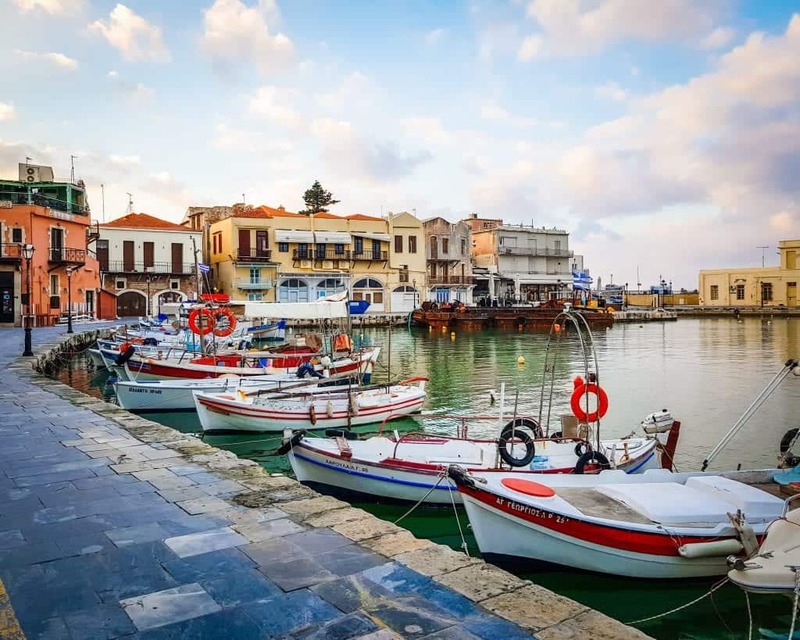 Whether you are most excited to experience Rethymnon’s history, culture, architecture, cuisine, photography spots, or its beaches, there’s something for everyone here. 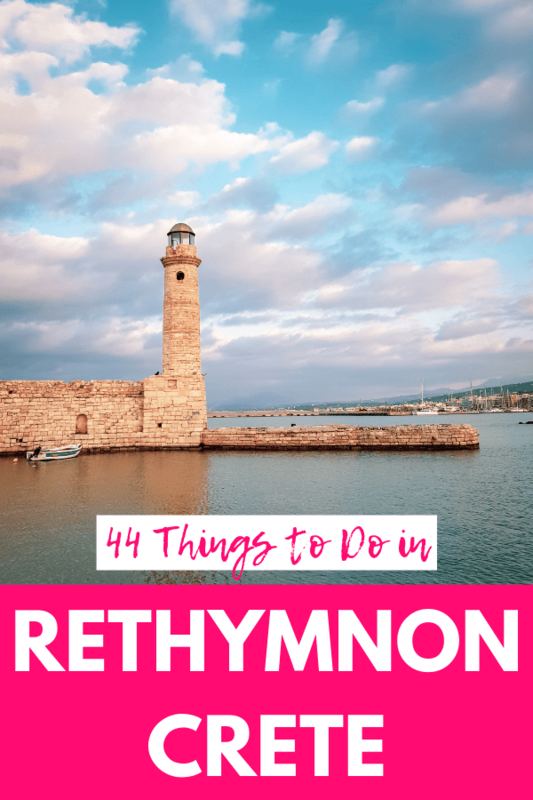 This is the list of our favorite things to do in Rethymnon, plus our best tips for where to stay, how to get around, and how to get here. Since most visitors to Rethymnon have only a day or two, we do not expect you to try to check everything off on this list. Rather, the goal is to give you a great overview of the town before you arrive so that you know what interests you the most, and you can plan accordingly. Many of the sites on our list are buildings you might inadvertently pass by as you explore or tours that offer something truly special. This way, you can have an understanding of the places as you see them, but we doubt you’ll want to go inside every church or book every tour! Please let us know what questions you have in the comments! 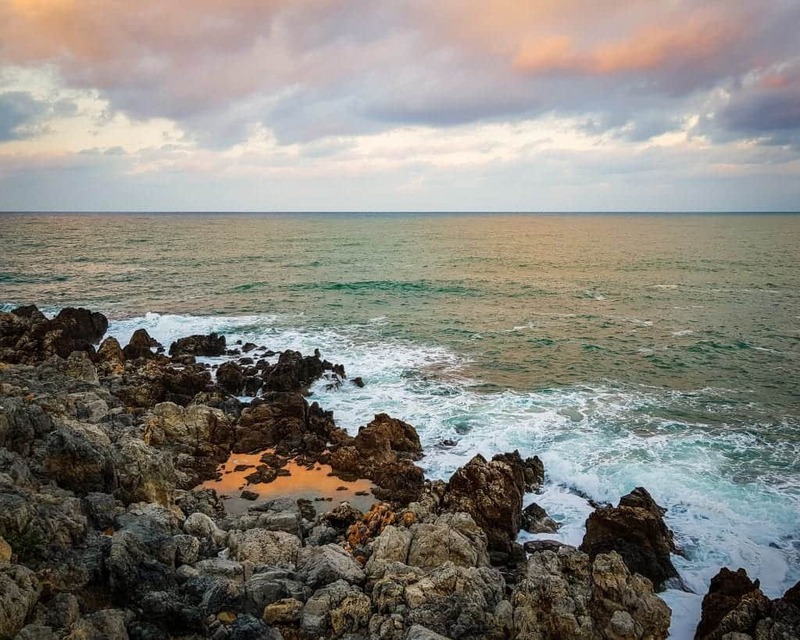 We love Crete and want to make sure you have the best trip possible. A quick note about naming. The town of Rethymnon goes by many different names (Rethimno, Rethymno, Réthymnon, and Rhíthymnos). This is due to the transliteration of the town name from the Greek alphabet. We use Rethymnon throughout the article for clarity, but you may find companies or other websites use Rethymno, etc. 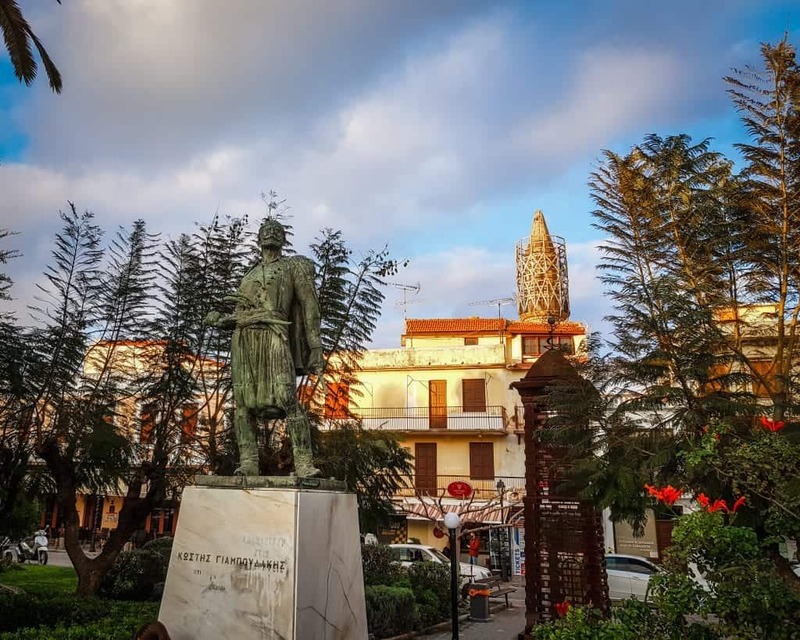 No matter how long you have to visit Rethymnon, whether you have one day or an entire week, you’ll most likely notice these important historic sites during your time here. 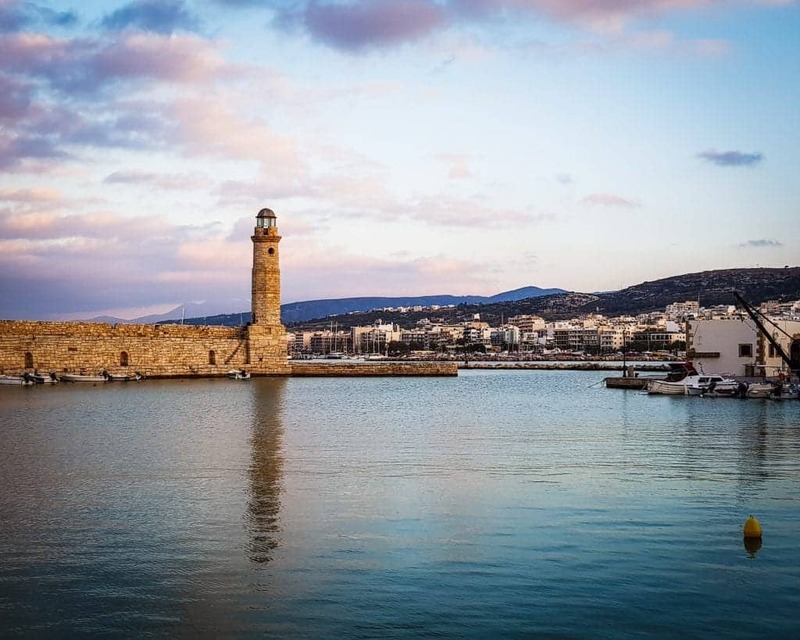 The most famous landmark in Rethymnon, the Egyptian Lighthouse sits in the middle of the Venetian harbor. 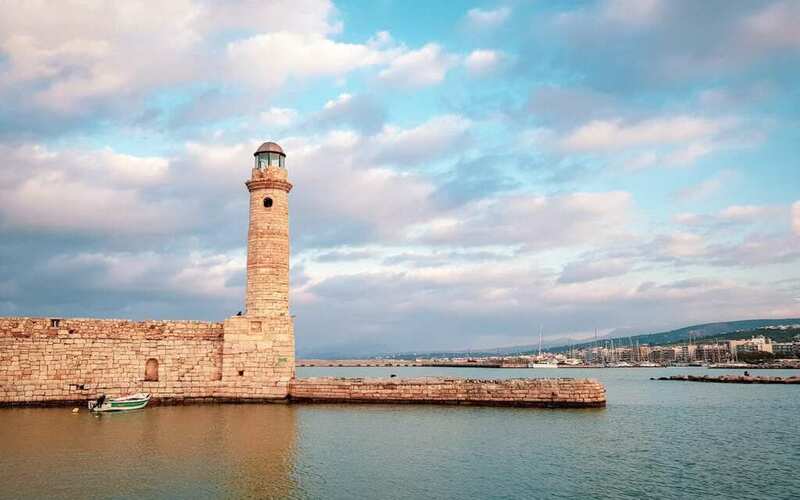 The different names of the lighthouse and harbor may seem confusing, but the Egyptian Lighthouse was built during the 1830s during the time when the Ottoman Empire controlled the island and gave it to the Egyptians. The Venetian harbor, which already existed, might have had a lighthouse there previously but it is no longer standing. During the summer, you can dine right on the harbor at one of the many fish restaurants. During the winter, it’s still warm enough to go for a sunset stroll most days of the year. 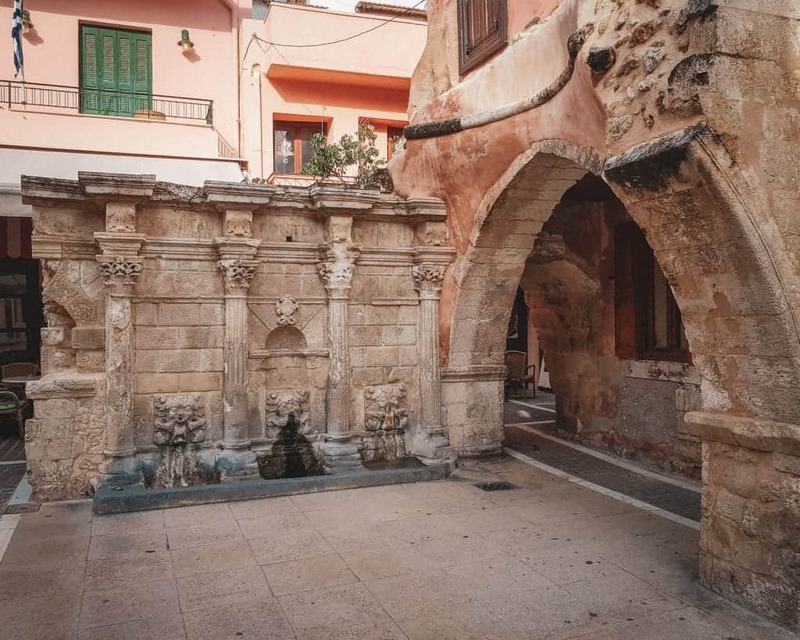 Built by the then-governor Rimondi during the era of Venetian control of Crete, the Rimondi fountain is one of the best reminders of the city’s former Venetian glory. The fountain still serves fresh water from its three lion heads to passersby. The Venetians built Rethymnon’s Fortezza, or citadel, to protect the city in the sixteenth century. By the middle of the seventeenth century, the Ottomans had taken over. Today the Fortezza is a complex of beautiful historic buildings complete with stunning sea views. I also love admiring the battlements from the ground below, as it makes a very striking view above the water. Part of the former Venetian City Walls, the gate was formerly called the Great Door and was once one of the main entryways into the city. I passed this monument at the bottom of the Fortezza while walking along Ioannou Melissinou. I couldn’t find much information about it online (Google Maps just lists it as ‘Globe’), but it’s beautiful. 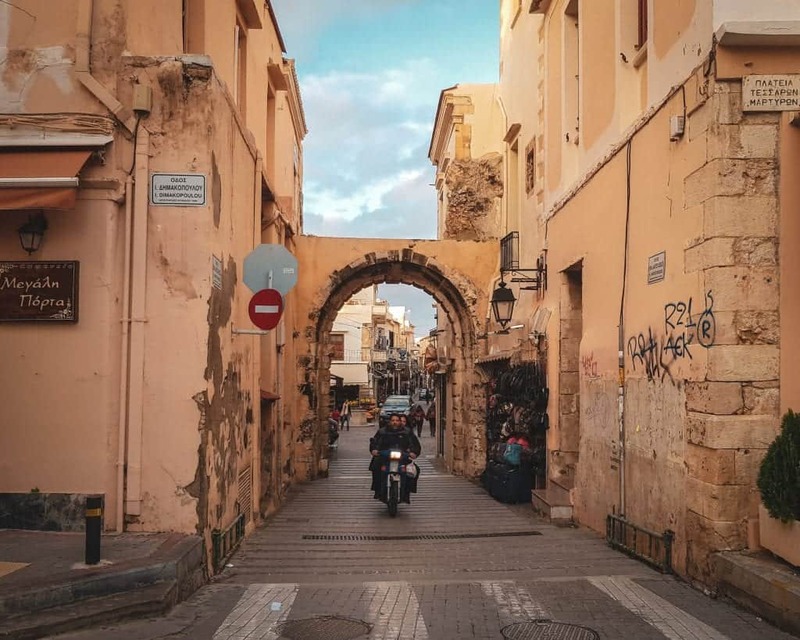 If you’re looking for great Rethymnon Instagram spots or something a little offbeat, it’s definitely worth passing by. If you know more about it, let me know! 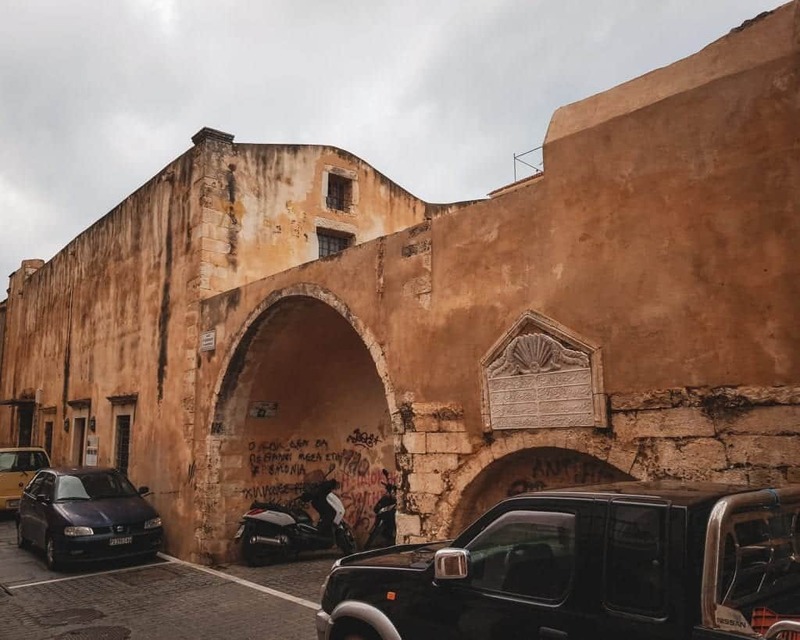 A beautiful and prominent building in the middle of town, the Venetian Loggia has been standing in Rethymnon since the sixteenth century. Today it houses a market for art reproductions. While the Venetian landmarks might be the city’s most prominent, there are many beautiful religious structures in the city worth passing by. 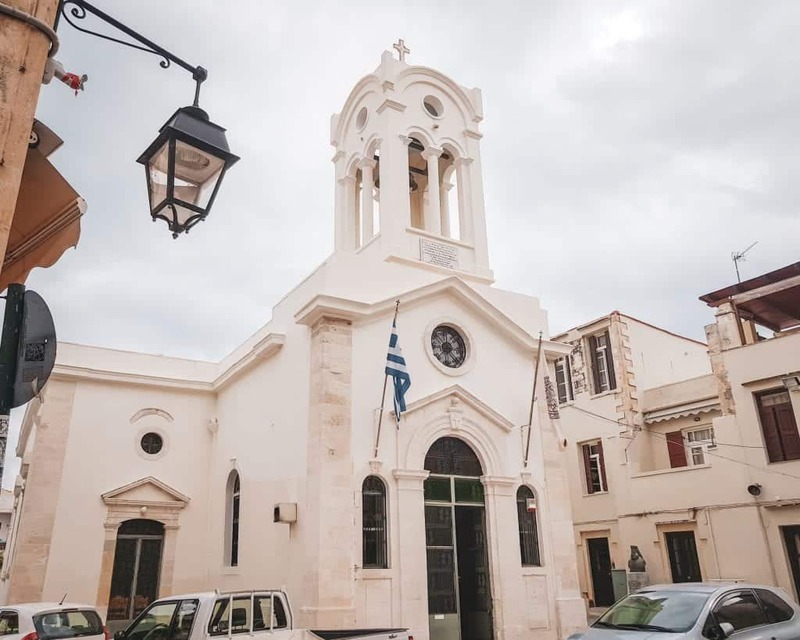 There are Greek Orthodox, Catholic, and Islamic buildings that together show the long and layered history of the city. Shedding light on Crete’s Venetian past, a small community of Catholics still live in the middle of this Orthodox island. While the original Venetian churches were turned into mosques, Catholics built smaller chapels and continued to practice their faith. Saint Anthony’s was erected in 1897. Built into the cliffs below the Fortezza, Agios Spyridon is a tiny Byzantine chapel. Inside the chapel is built into the rock, and outside you can see stunning views of the mountains and the sea. Also known as Tesseris Martyres, the Church of the Four Martyrs is one of the major modern landmarks of the city. Built in 1975, it stands near the public garden on the site of a former Orthodox church. This church may have a quintessential Greek Orthodox look, but it was actually built by the Dominicans during the Venetian period. Dedicated to Mary Magdalene, it served as a Catholic church until the Turks converted it into a mosque. It has been Greek Orthodox since 1917. The seventeenth-century church of Hagia Sophia isn’t much to look at from outside, but if you’re walking by it’s hard to take your eyes off the nearly four-hundred-year-old church. The white Islamic plaque is from the time when this was converted into a mosque. A renaissance church turned into a mosque after the Ottoman invasion, Kara Mousa Pasha Mosque is located near heroes square. You can’t go inside, but you can see the beautiful if somewhat decayed building from the outside of the yard. The most prominent mosque remaining in the city since the Turks were expelled from Crete, it is used today as a concert hall. It started out as a Catholic church built by the Augustens. It was dedicated to Gazi Huseyin Pasha, who conquered the city. Today it is alternatively referred to as the Conservatoire in honor of its current role in the city. It is located on Mikrasiaton Square. 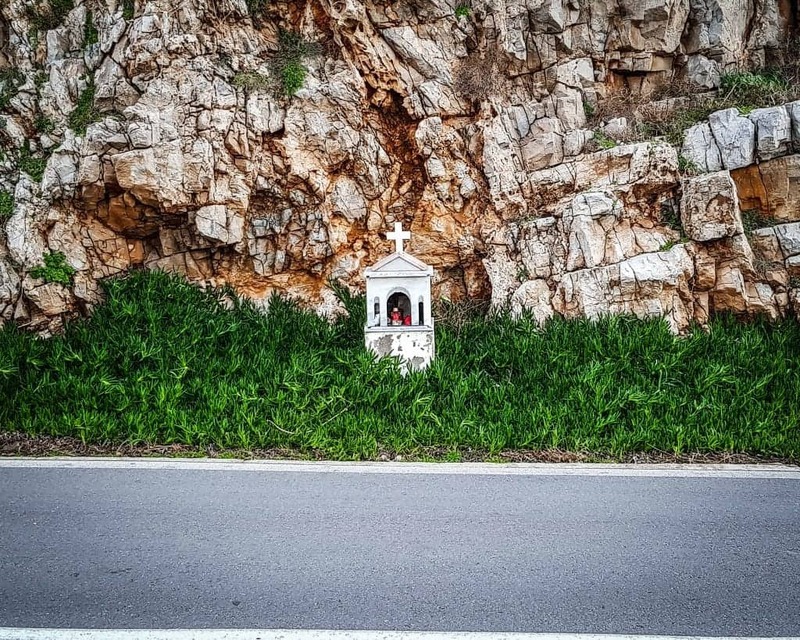 If this is your first time traveling to Greece or a primarily Orthodox part of the world, you might see wayside shrines like the one above and wonder what they are. It is common in most parts of the Orthodox world for small roadside and household shrines to be erected. I spotted three beautiful ones while walking through Rethymnon, but this one at the base of the Fortezza was my favorite. After burial, some Greek families will also erect a shrine at the crash site to commemorate their deceased loved ones. One of the most prominent landmarks located on top of the Fortezza, it may be harder to identify the former church as a mosque since the minaret is almost completely gone. 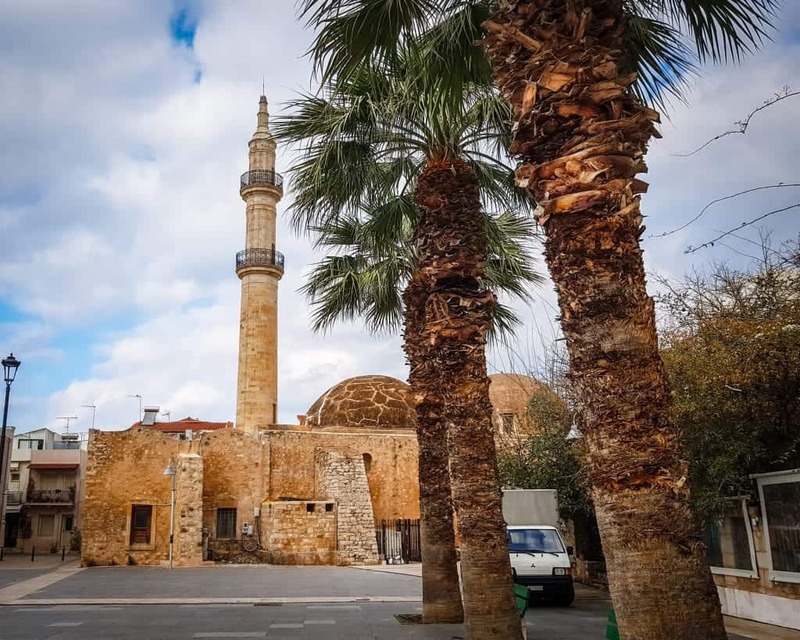 If you love visiting mosques, this might be one of the most interesting ones since it served as the Fortezza’s cathedral before the Turkish occupation. While this is the final mosque on our list, you can actually spot several more in the city. 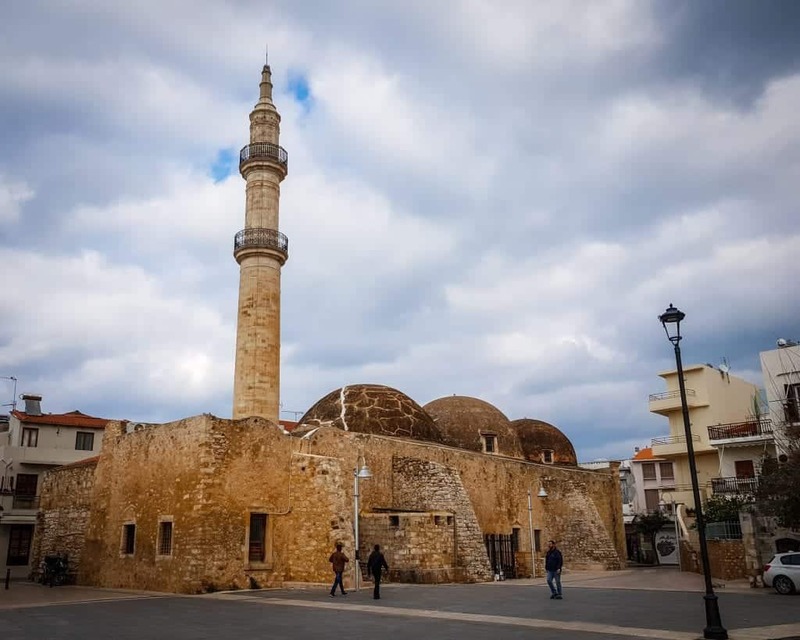 There are currently eight mosques in Rethymnon that you can visit. 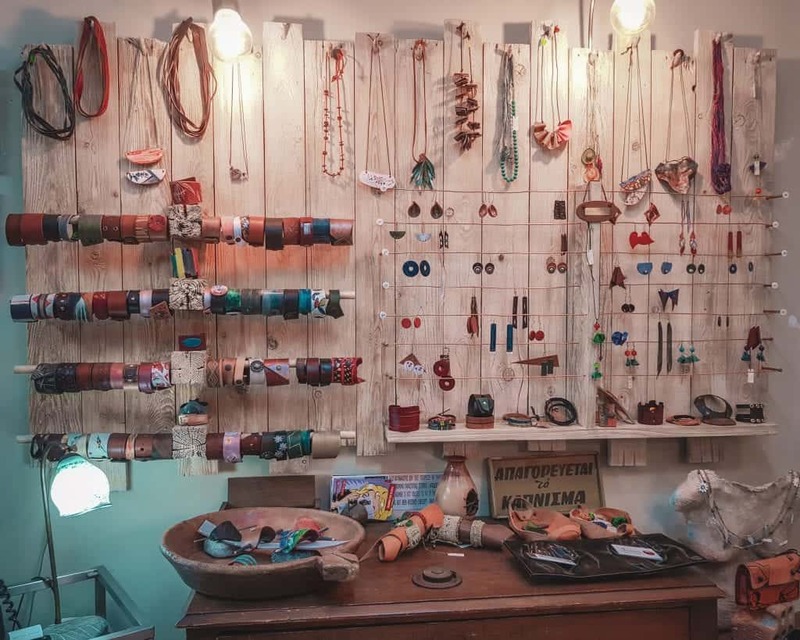 If you are looking to do some shopping in Rethymnon, there are wonderful shops selling local Crete products and artworks. Some of my favorite Crete souvenirs are edible (or drinkable). It’s always fun to bring back a taste of Crete in the form of local wines, olives, and, of course, raki. 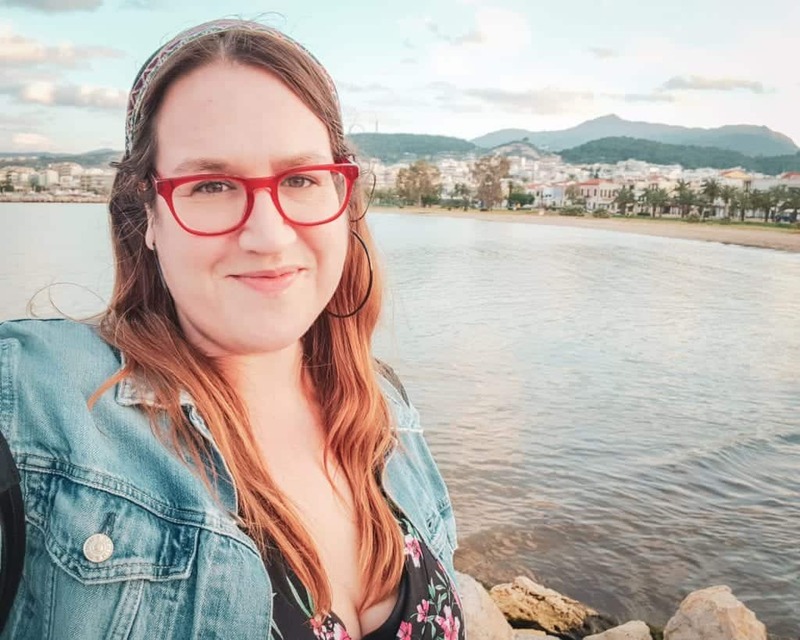 Here are my favorite Rethymnon shopping recommendations. Interspersed among the international chains like Colors of Benetton, the old town is full of souvenirs stands. Stick to shops advertising local products, like Agrotiko. Don’t leave your Cretan vacation with products made in China. 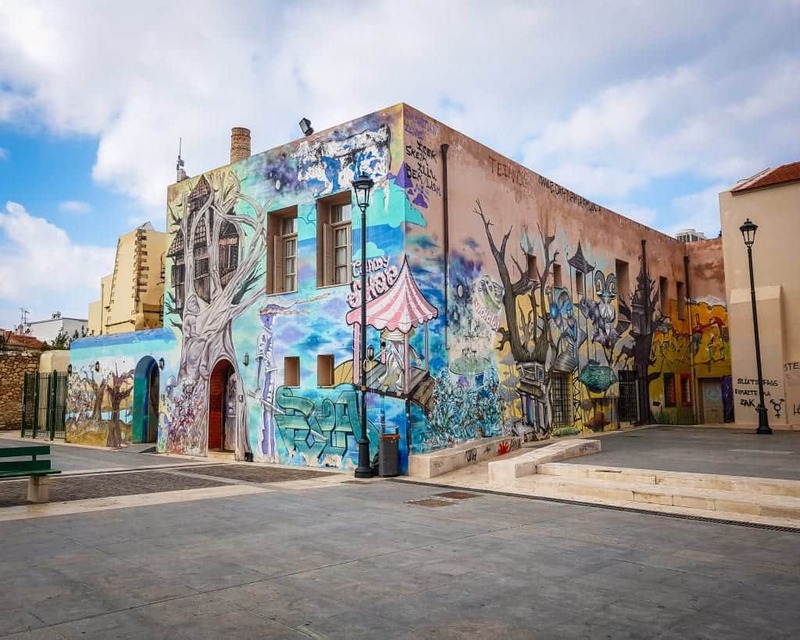 Wander down Paleologou, Arabatzoglou, and Souliou Streets for great options. If you’re looking for copies of Cretan archeological finds, stop by the Loggia. If you are in town on a Thursday or Saturday morning, you can check out the open-air market, called the Laiki, while those in town on Wednesday afternoon can visit the farmer’s market. For a stop in an artisan’s shop, go to Spantis Leather Goods. Here you can shop from the goods on display, but you can also take a peek at the workshop in the back of the store. Each piece in the store is handmade, from cutting to sewing to painting. 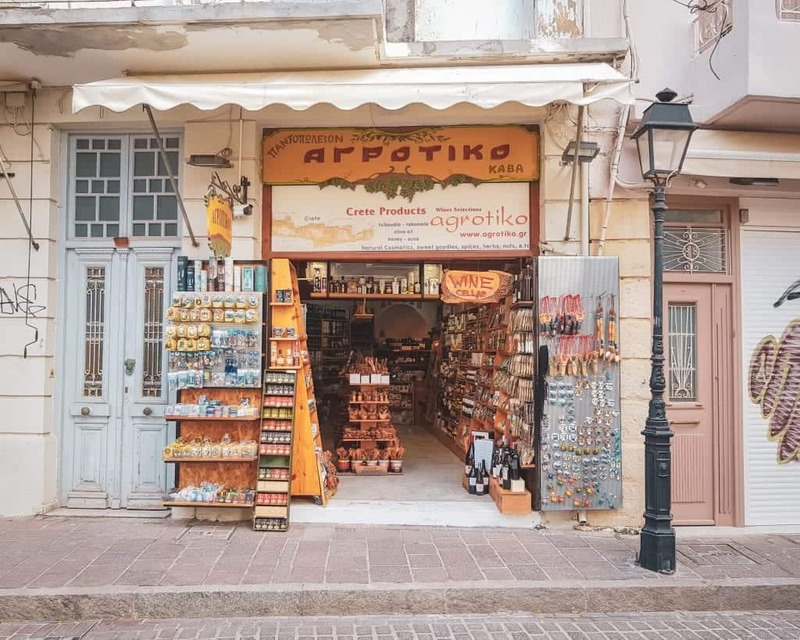 This was my favorite place to shop in Rethymnon, and the gifts I bought here were some of the most popular I’ve brought back from Greece. The lands and islands of Greece have been synonymous with pottery practically as long as man has been shaping clay. 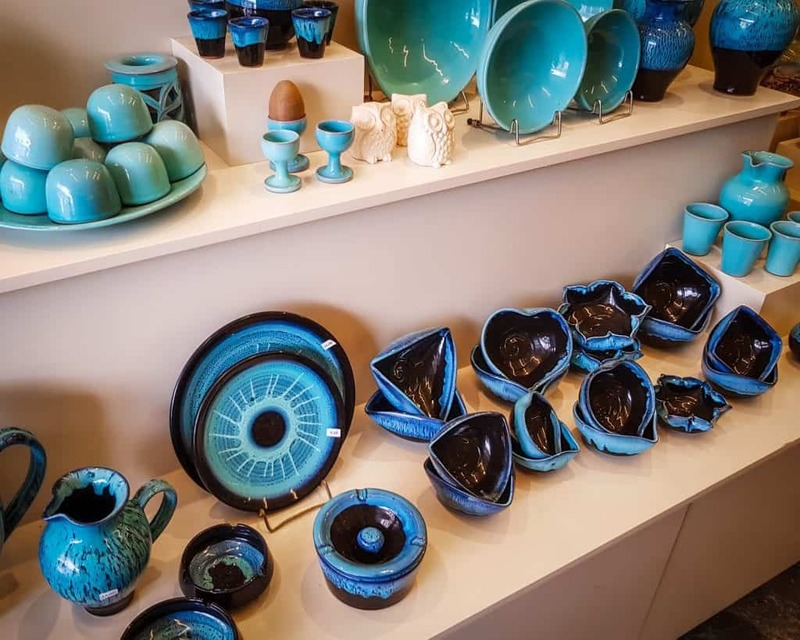 No trip to Rethymnon is complete without at least doing some window shopping at one of Rethymnon’s ceramic shops or studios. My favorite is Hydria Pottery Workshop near the Rimondi Fountain. While the island’s most famous museums might be in Heraklion, there are a few gems in Rethymnon. You don’t need to dedicate too much time to get to enjoy them, and entrance fees are low. 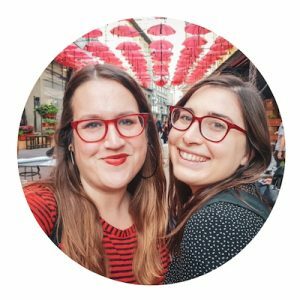 I’ve listed my favorite two here, but the city actually has nine different museums to for museum-lovers to explore. 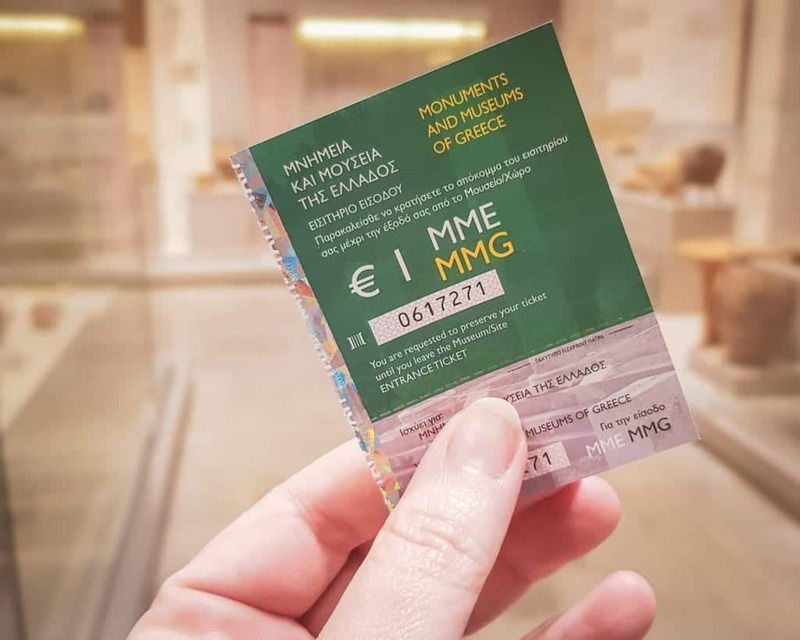 This small archeological museum costs just one euro to enter. Inside you’ll find objects from the history of the city, dating from the Neolithic era through the Roman period. Just be aware, no photos are allowed inside (and they’ll make you delete them if you were unaware of the rule…ahem…). 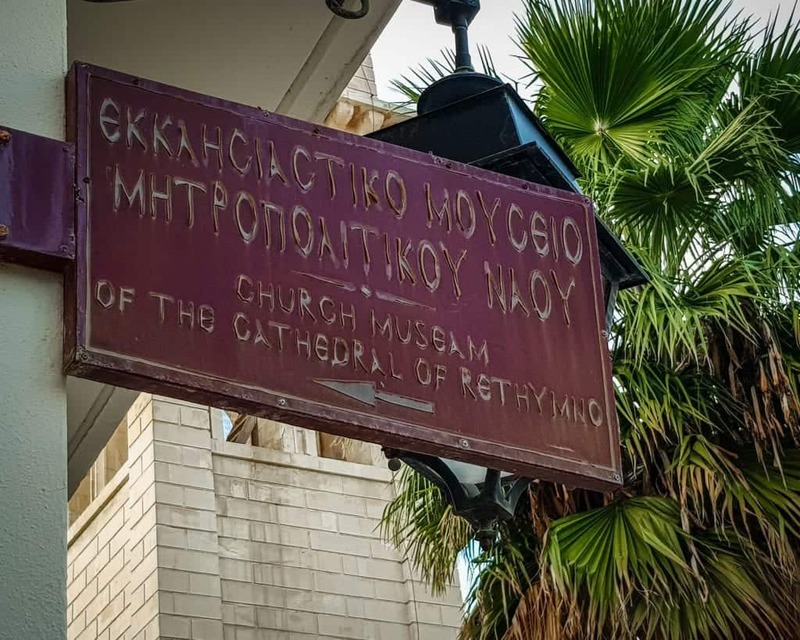 For those who love church history, come to see the rare objects from the history of the churches in Rethymnon. On display are liturgical vestments, icons, coins, and the inner workings of the clocktower from before it was changed to an electric clock. Rethymnon is a beautiful town with a mix of gorgeous and quirky city squares, parks, and other outdoor spaces to enjoy. One of my favorite memories from Rethymnon is walking along the shore past the Venetian harbor at golden hour. 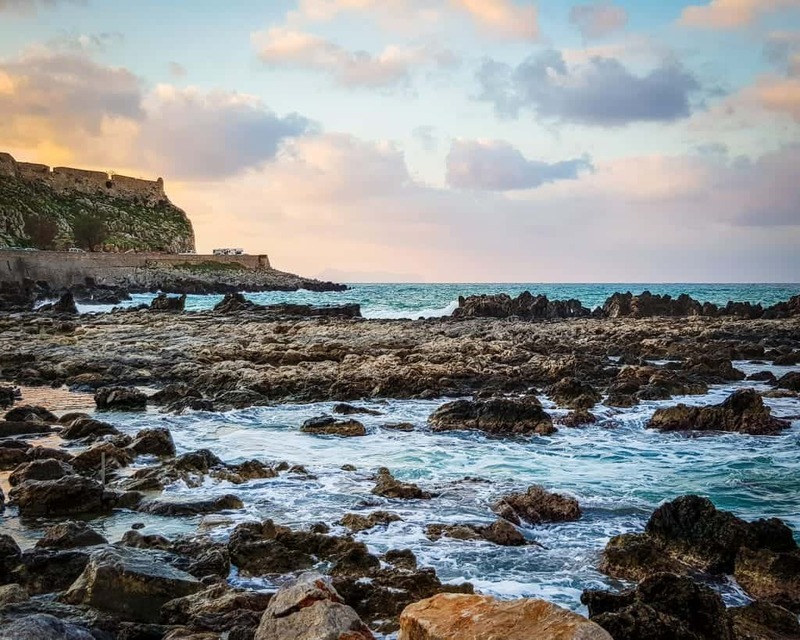 The combination of beautiful light, waves, and the rocks on the shore while strolling underneath the Fortezza is truly magical. 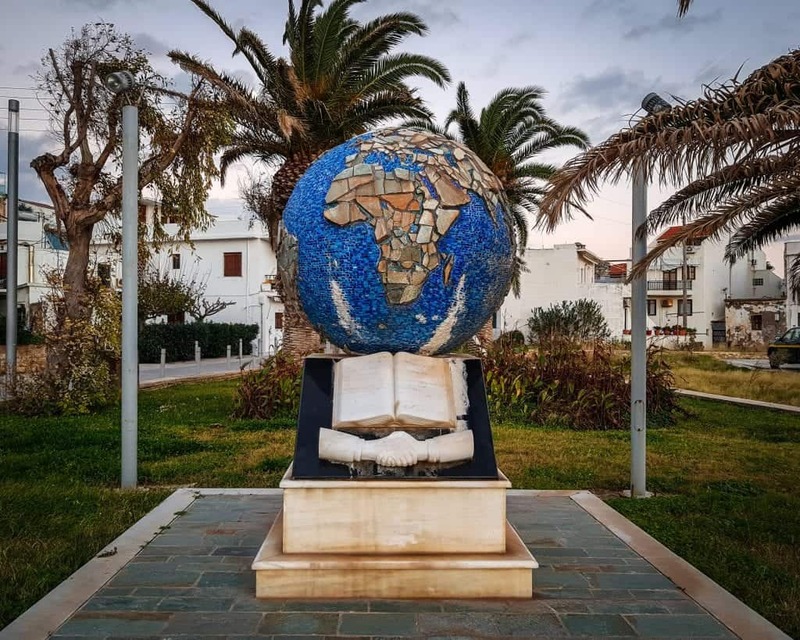 This funky city square hosts some of the best Rethymnon street art, along with the Nezarte Mosque and city war memorial. Located near the Guora Gate where the old town meets the new city, this is a popular place for children. They can enjoy the playground while parents can take a break at the cafe or nearby brewery. This square is located by Rimondi Fountain, lined with cafes and shops. For those looking to explore Rethymnon deeper, tours are a great way to learn more about the city, enjoy the countryside, and go on some unique Cretan adventures. 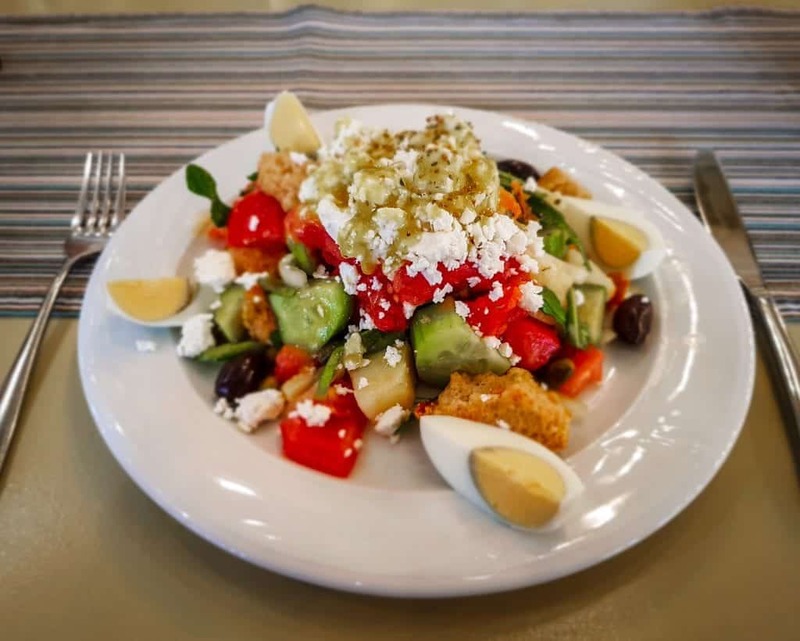 Note that I’ve listed the food and wine tours in the food section, but most of the tours here do include sampling or lunching on traditional Cretan cuisine. One of my favorite things to do when I arrive in any city is to get oriented by taking a walking tour. In Rethymnon, you have the option to go on a walking tour that offers more than just a look at the city. 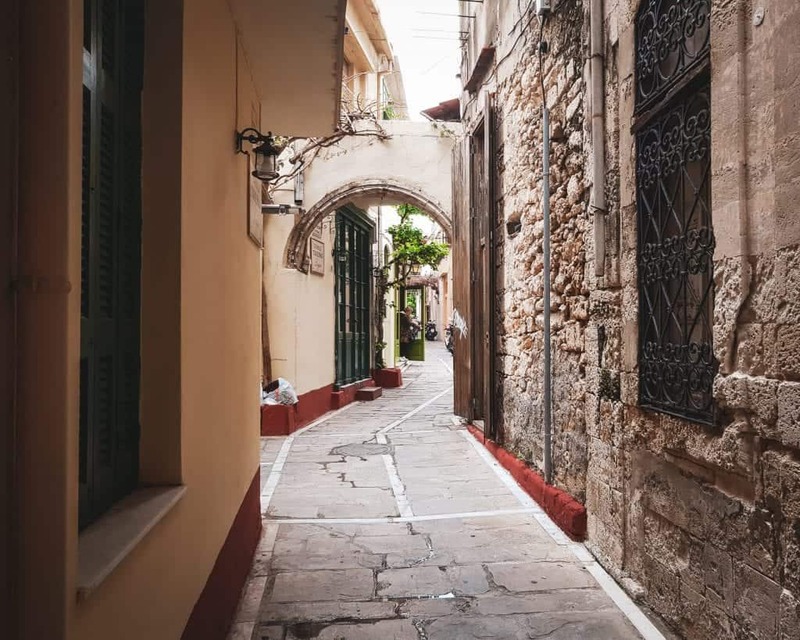 On the Walking Tour in Venetian, Byzantine, & Ottoman Rethymno you get to learn about the history of the city’s sites along with sampling Greek coffee, learning how Greek’s tell their fortune with their coffee cups, and enjoy learning (and sampling) local cuisine and wine. 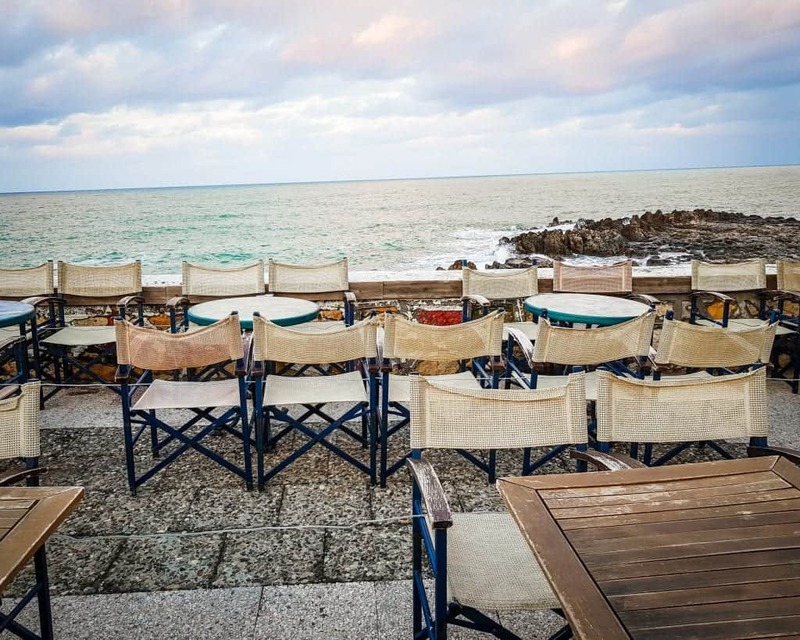 If you only have time for one tour in Rethymnon, this is a great way to combine a walking tour with a bit of the benefit of a wine and food tour as well. Click here to check reviews and prices. If you want to get out of the city and explore the countryside, this guided electric bike tour of the area is for you. You’ll get to explore olive groves, nearby monasteries, and go on a short hike of the famous Myli Gorge. Lunch is served in a village taverna. During this tour, you get to meet and talk with local nuns about their life and enjoy picturesque panoramic views of the coast. Arkadi Monastery is the oldest monastery in Crete, and it is also one of the island’s most famous landmarks. 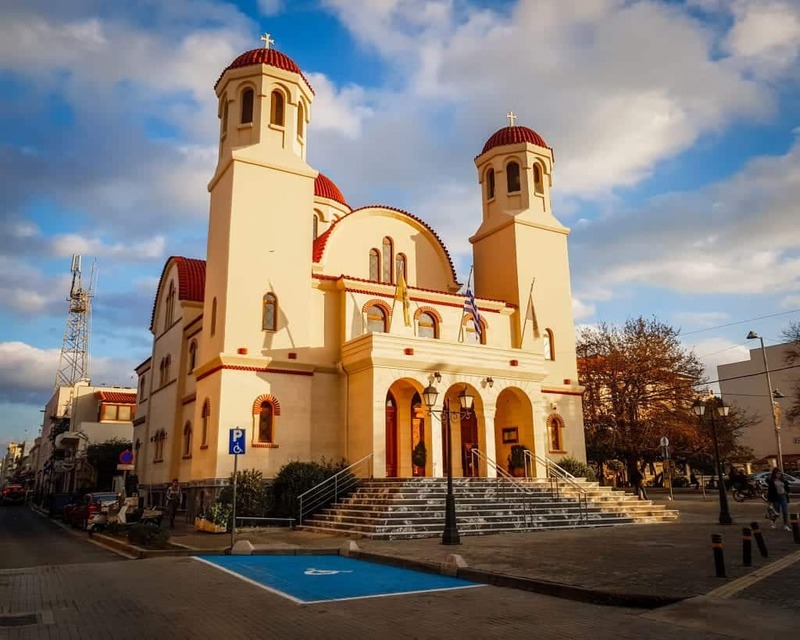 On this Explore the Real Crete tour, you will get to visit the monastery, along with Melidoni Cave and the villages of Margarites and Apostoli. Highlights include visiting an olive oil factory, enjoying live traditional folk music, and lunching at a traditional village taverna. Enjoy your day in a Land Rover Safari to Preveli! You’ll get to learn about Cretan culture in nearby villages and see some of the area’s most beautiful sites, like Prassas Gorge and Potamon Dam while making your way to the south coast’s Preveli beach. There you’ll get to enjoy your dip in the Libyan sea and enjoy the local palm tree forest. A great way to mix culture, adventure, and a beach day! Looking for a way to celebrate a special evening in Rethymnon? You can rent a luxurious private yacht and go on a Private Sunset Cruise. While you may not be in the business of renting a private yacht in your everyday life, this is an extremely special way to enjoy an evening in Rethymnon. You’ll get to enjoy the sunset and go for a swim off of a luxury yacht. I can’t think of a single thing that would be more glamorous. If this is a trip of a lifetime for you and your family or friends, I highly recommend booking this cruise. It’s one of those activities you’ll remember for the rest of your life. There are many fabulous beaches in Crete, but there are a few close to Rethymnon and accessible by bus or a fairly inexpensive taxi ride. 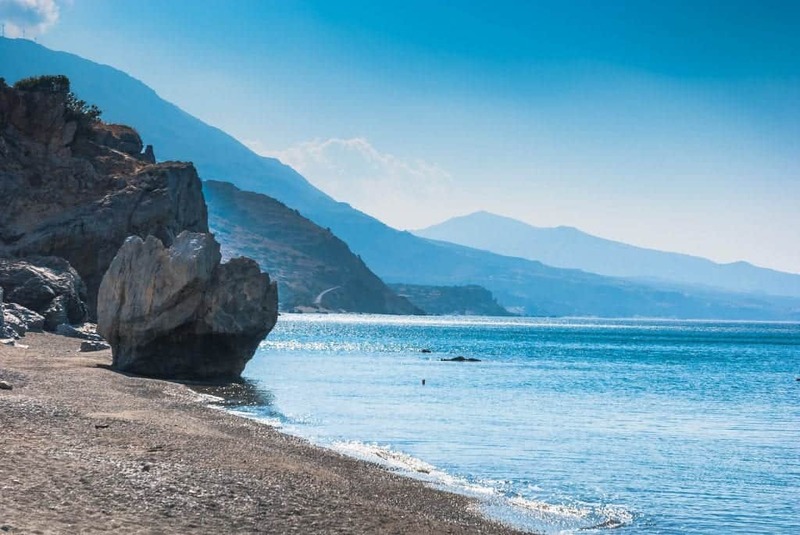 Here are the most popular beaches near Rethymnon. Loggerhead turtles nest along the beaches here, so always be a respectful beachgoer. Starting near the Venetian harbor and stretching in front of the Boardwalk and beyond the city, this is the closest beach to the Old Town. You can rent sunbeds and umbrellas, and there are many cafes and restaurants to enjoy when you need a break from the sun. Because of its proximity to the city, this beach can get crowded during the high season in the summer. Missiria beach is located three kilometers east of Rethymnon. It’s accessible by public bus and has facilities including sunbed rentals and showers. There are tavernas and other businesses along the beach, making for an easy and relaxing trip from Rethymnon. 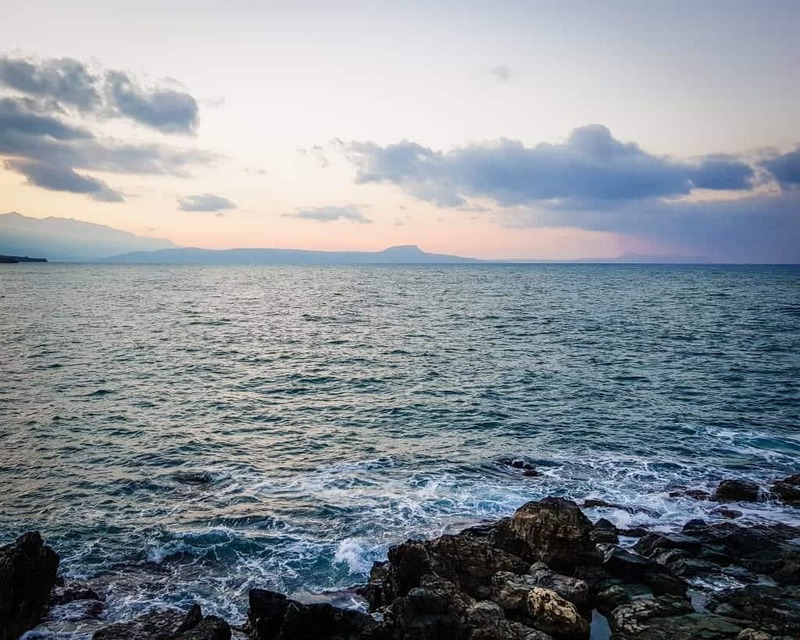 The nearest suburb east of Rethymnon, Perivolia used to be a separate resort and vacation destination; however, now the two areas have merged and many come from Rethymnon to enjoy the beach here during the day. There are great facilities and the same sandy beaches stretch from Rethymnon past here. It is reachable by foot for those who want to walk from Rethymnon along the water. Five kilometers east of Rethymno, this is the furthest of the beaches commonly visited from the old town by bus or taxi. The town is not particularly beautiful, and the main attraction is that this is one of the largest beaches in Crete. Here are our recommendations for enjoying Rethymnon’s food and nightlife while you’re in the city. You really don’t understand the first thing about Greece if you haven’t tasted Greek coffee. Have a coffee? is most likely the first thing you’ll be asked upon meeting your hosts, and it might sound more like a command than an offer. 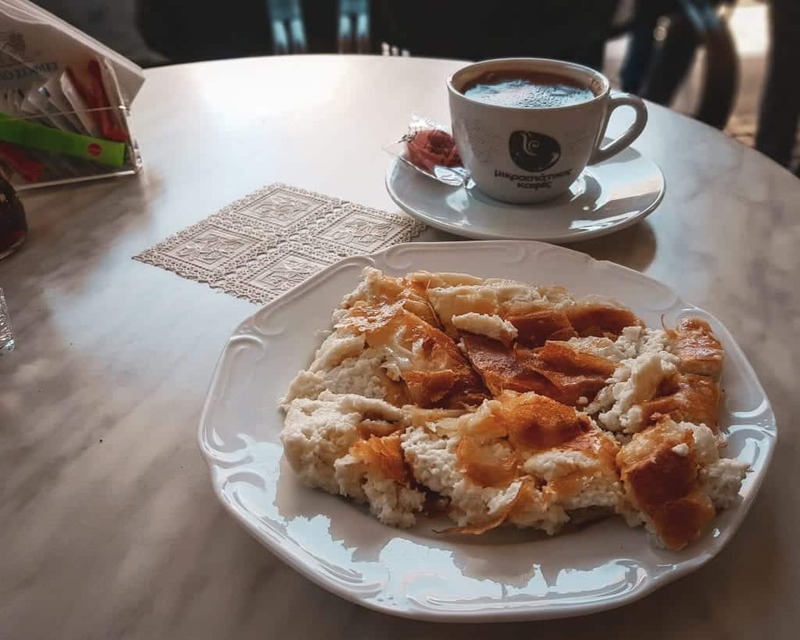 You also must call it Greek coffee, for while it’s part of the Ottoman tradition, everyone in Greece switched the name from Turkish coffee to Greek coffee in the twentieth century. Basically, the entire country gave Turkey the middle finger. 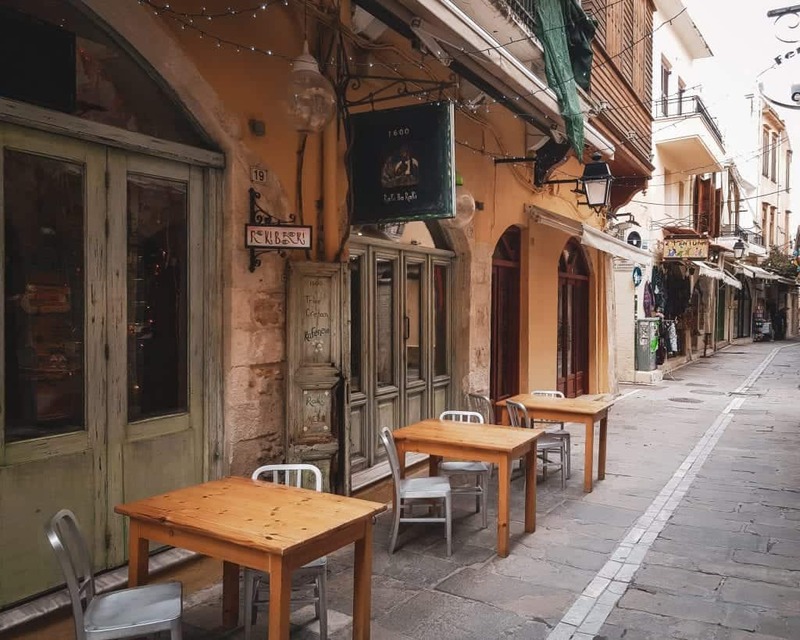 You can enjoy a coffee at one of the city’s many sidewalk cafes and tavernas, or you can learn more about it on the Walking Tour in Venetian, Byzantine, & Ottoman Rethymno, which includes both a coffee tasting and learning how to tell your fortune in the coffee grounds. Click here to check reviews and prices. Alternatively, you can learn about Greek coffee as part of the Gourmet Trail of Rethymnon food tour. Click here to check reviews and prices. Cretan cuisine has a lot of overlap with traditional Greek cuisine, but there are differences. When eating in one of Rethymnon’s restaurants, look for local Cretan classics like dakos made with Cretan rusks, coclious me hondro or land snails, and bougasta. If you can’t tell which dishes on the menu are specifically from the island, don’t be afraid to ask your server! Learn about local foods on the Gourmet Trail of Rethymnon. Is there a better way to learn about cuisine than by sampling different dishes and drinks while being taught about the traditions behind them? On this tour, you will about (and try) Greek coffee, Cretan pastries, meze, and desserts. You will also have a wine tasting, a beer tasting, and have a local cocktail! By the end of the tour you will have sampled your way through the local food scene, and you’ll be prepared to order for the rest of your trip in confidence. If you want to leave Crete with some of the practical skills needed to make Cretan food at home, then this Traditional Village Bakery Class & Tour is the way to go. On this tour, you travel to the village of Vatos to learn how to make traditional Cretan bread from the passionate local bakers. You will also get an up-close view of life in Vatos, including having a traditional Cretan lunch with your hosts. If this is your first time in Crete, no doubt you will be shocked at the amount of free raki you’ll be offered just for buying dinner or sitting in a cafe. When I first started traveling to Crete, I didn’t understand the appeal. However, after countless glasses of raki, I am one hundred percent a believer in this Cretan spirit. Crete is known for its local wineries. While I don’t love every Cretan wine that I’ve tried, I’ve had some amazing ones. (Pro Tip: avoid Cretan Sail at all costs! Somehow the wine is salty…). If you want to try some local varieties, ask your server for recommendations. Wine has been produced here for over four thousand years, so there will be something perfect to pair with whatever you choose for your meal. 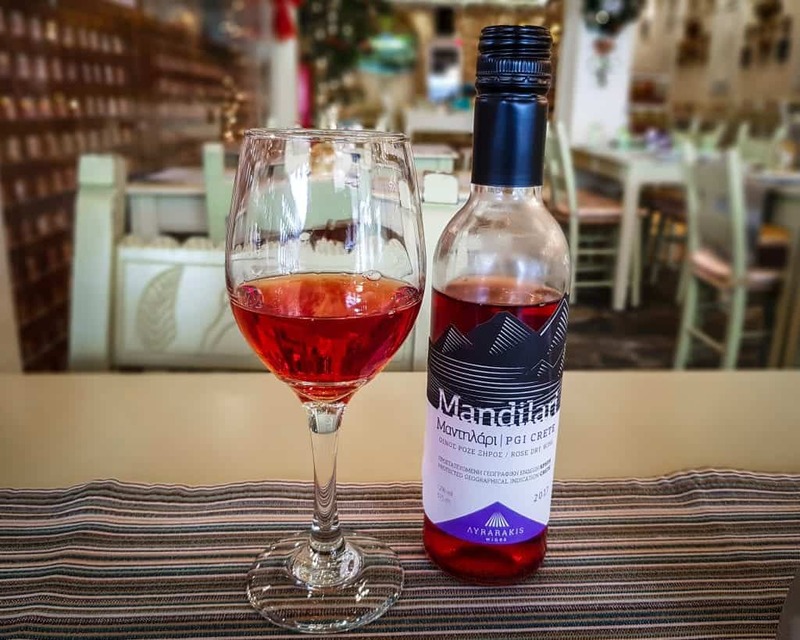 If you want to go on a wine tasting of local wines, this is included as part of the Gourmet Trail of Rethymnon food tour. Click here to check reviews and prices. 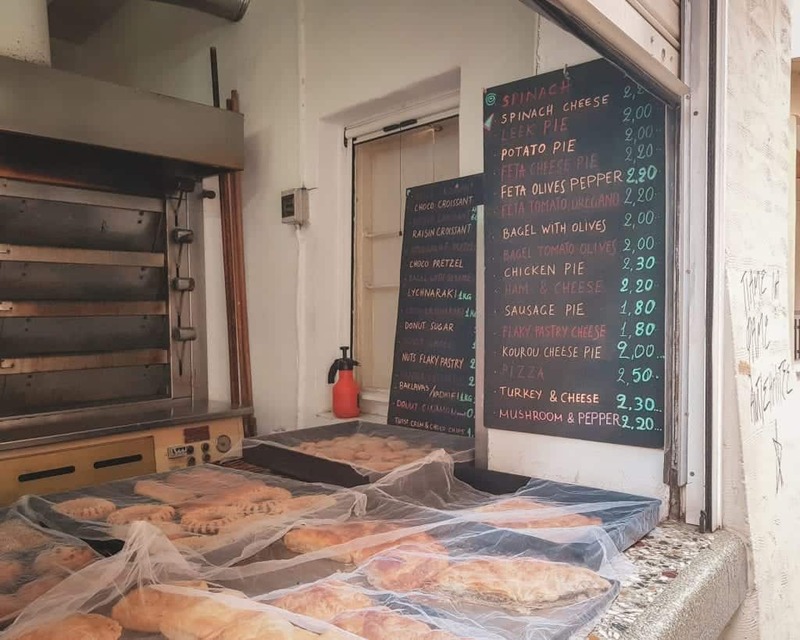 Iconic and delightfully affordable, don’t skip out on visiting a local bakery while in Rethymnon. Try a koulouri (sesame bread formed into crowns), a kalitsounia (cheese pastry), or a bougasta (phyllo dough and cheese with different toppings). Or try all three! The strip of restaurants near the beach has modern bars. This is not exactly Ibiza, but if you’re looking for a more carefree nightlife scene, this is where to head first. Sometimes it’s less about what you’re eating, and more about where. Rethymnon has a great stretch of cafes and restaurants with beautiful sea views. Take the time for a meal, a coffee, or a drink while enjoying the sea views and delightful Mediteranean breeze. Just remember that being on the water means you’ll be getting some wind, so wear layers, especially in the evenings. Rethymnon is a fabulous place to stay. 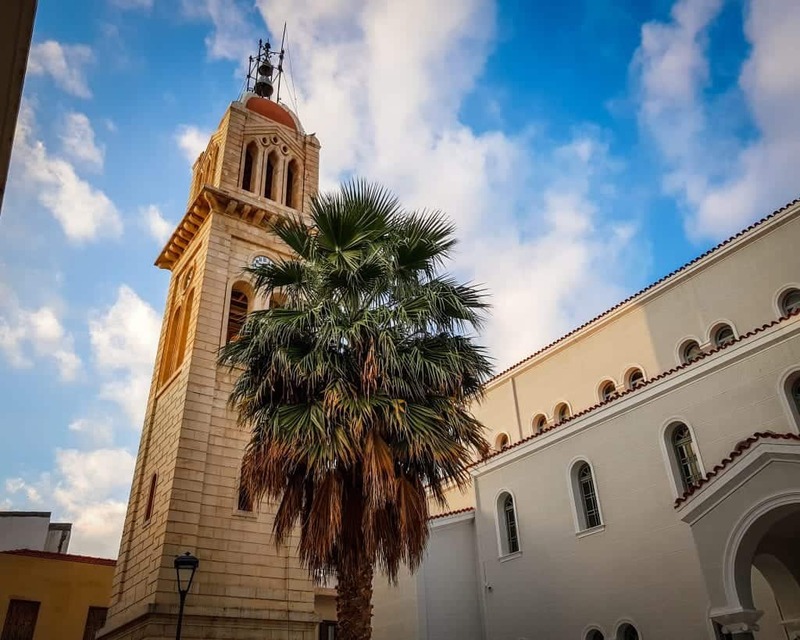 In our opinion it gets a little overlooked compared to Chania and Heraklion, so here are our recommendations for accommodations and transportation to help make your trip as smooth as possible. Budget: A room in a hostel, usually $15-25 USD per night for a dorm bed or about $50 for a double. Budget: For an adventurous take on budget accommodations, we recommend Camping Elizabeth. Located just three kilometers outside of Rethymnon, this camping ground has caravans, tents, and bungalows to rent! Each includes outdoor furniture and access to a fridge, which means you can keep your costs even more in check. There is an onsite taverna serving local dishes, and a bus stop is just three hundred meters away. A great way to stay close to nature and the beach while enjoying Rethymnon during the day. Check rates and availability here. Mid-range: For a seafront hotel that is surprisingly affordable, we recommend Sea Front Old Town. The location is in the middle of the old town and right on the sea, with most rooms having scenic balconies showing off either the seafront or the old town. Since Rethymnon is so beautiful, you really can’t go wrong with either view. It’s a great bargain, too – check rates, reviews, photos, and availability here. Luxury: For a true luxury experience in Rethymnon, we recommend the five-star Rimondi Boutique Hotel. The rooms are stunning (thing Instagram-worthy), and the location can’t be beaten since the Venetian Harbor is only a four-minute walk away. If you want an extra dose of relaxation, you can use the onsite Turkish bath and massage services. Check rates, reviews, photos, and availability here. We have guides coming on how to get to Rethymnon from Chania and Heraklion utilizing the island’s great intercity bus system. If you choose to take a taxi, the rate is set and posted. Reconfirm the rate before you leave. If you are staying outside of the city, they may have you use the metered rate. Taxi drivers in Crete aren’t too scrupulous, but I have heard of tourists being charged double or triple during the very high season. Note what the rate should be on the rate list before you leave the airport, reconfirm with your driver, and you will need to pay in cash unless otherwise arranged. You can also prearrange a private transfer. This is a great option for groups and families, especially families traveling with children. Check prices & reviews for private transfers from Chania. Check prices & review for private transfers from Heraklion. Once you arrive in Rethymnon, you’ll find that getting around the actual town is very easy. I walked everywhere I went, including to and from the bus station, which saved me money on transportation costs. If you want to utilize the taxis, it’s very simple. Rethymnon taxis have set rates. You can go to a taxi stand, where there will be a price list displayed for how much your destination is. Confirm the cost with your driver before you leave, or agree that you will use the metered rate. Be prepared to pay for your taxi in cash unless you agree with your driver ahead of time. 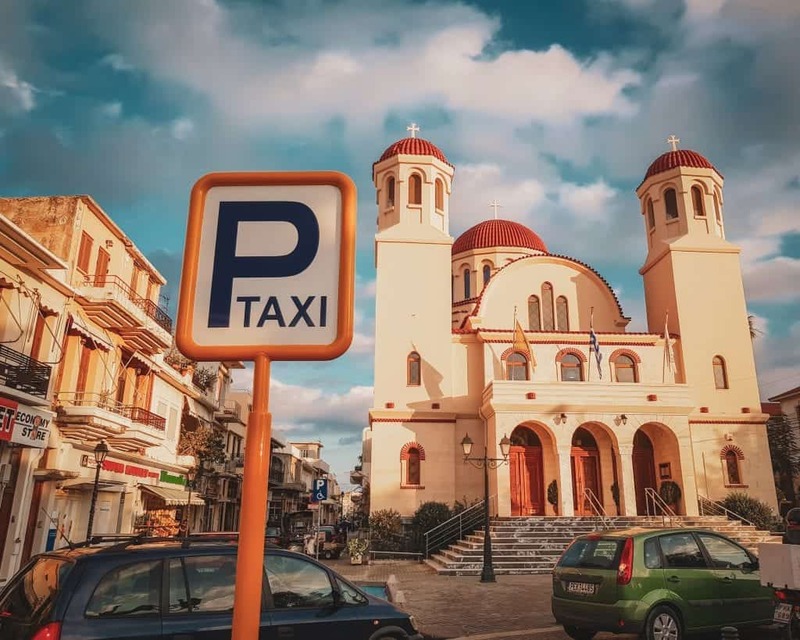 If you need to call and have one pick you up at a destination, I recommend calling Rethymno Taxi. You can see their set prices here. There are also city buses available which go around town and also out to some of the beaches. I haven’t been able to track down the website, so ask your accommodation for assistance if you want to utilize the city bus in town. Most people who come to Rethymnon also explore other parts of this beautiful island. 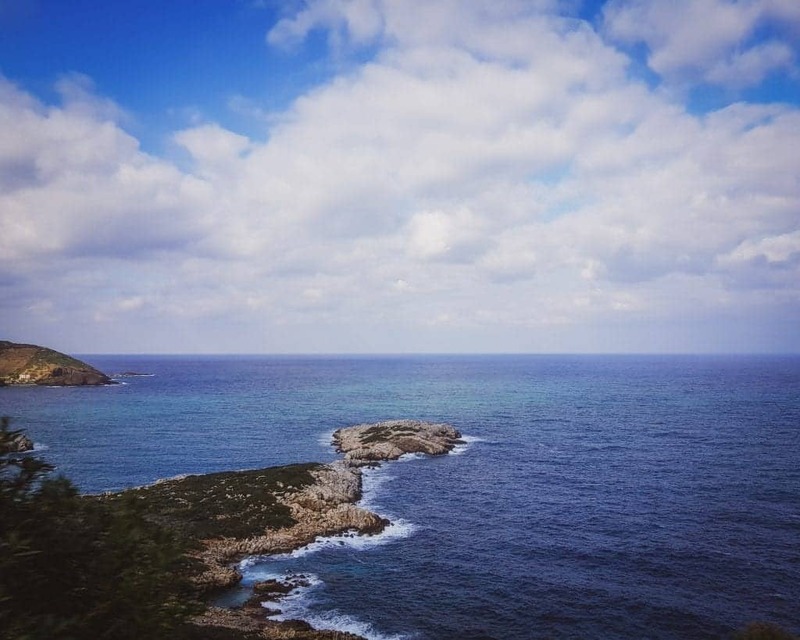 Here are additional Crete travel resources to help you with your trip. Finally, make sure you always travel to Crete with a valid travel insurance policy. While Rethymnon is a very safe place to travel, you want to make sure you have your possessions covered if they’re stolen and your medical bills covered if you get sick or injured. This is especially true if you plan on doing any water sports like snorkeling, diving, or boating.